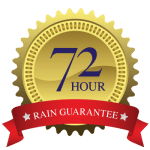 Mammoth 72-hour Rain Guarantee keeps your vehicle looking great. If it rains within 72 hours of your purchase of any of our wash packages, we’ll wash the exterior again. Free. No Charge. Nada. All you have to do is save your dated receipt and show it to our friendly greeter.